Oracle ADF framework support modular architecture for enterprise application development. Multiple small modules can be bound together to form a large module. The greatest advantage of ADF controller over core JSF navigation model is that it splits a single bulky module to multiple reusable and interconnected modules known as ADF Task Flow. 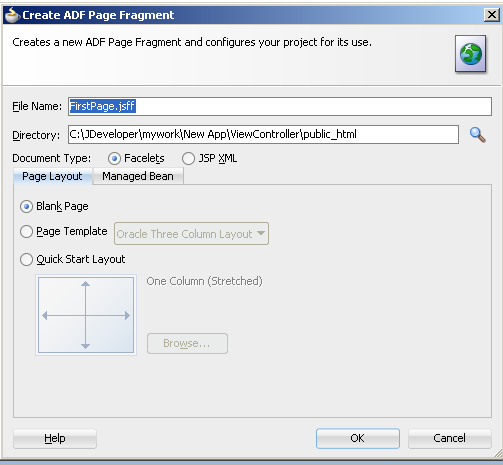 I am not going deeper in Taskflows as every ADF developer knows about it, so the important part is page fragment. 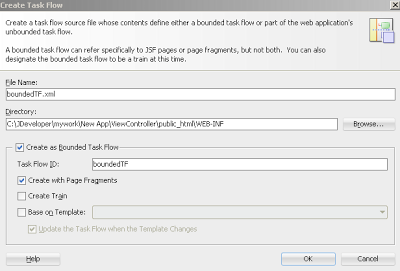 When we create task flow as bounded task flow and check the box to create it with page fragments. Facelets- is the default and official view handler for JSF pages, previously JSP was used to view JSF pages but it didn’t support all component so Facelets comes in the picture under APACHE open source license. It supports all UI component used by JSF (Java Server Faces). Facelets was developed by Jacob Hookom in 2005. 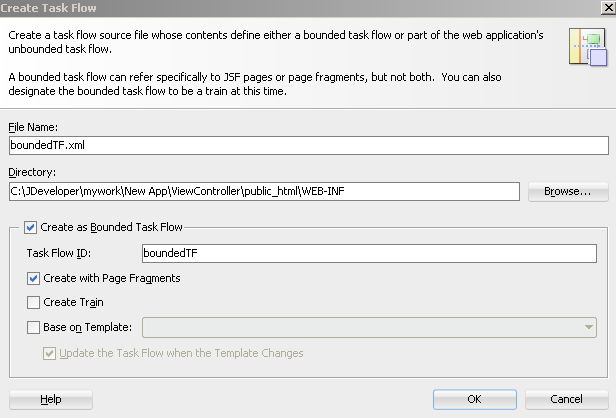 If you create Facelets fragment in the bounded task flow, then the task flow must be dropped in a JSF page (parent page) not in .jspx (JSP XML ) page. JSP XML- jspx is XML variant of JSP(Java Server Pages) to support XML document . JSP XML fragments are used in ADF inorder to support XML document and more powerful page validation techniques. If you create jsp xml fragments in bounded taskflow, then taskflow must be dropped in a JSP XML(.jspx) page(parent page) not in JSF page.